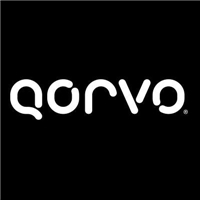 Qorvo has announced financial results for the Company's fiscal 2019 first quarter, that ended June 30, 2018. In the June quarter, Qorvo delivered revenue and EPS above the provided guidance, and in the September quarter, they expect sequential growth driven by new product ramps and the underlying macro-trends of LTE-Advanced/Pro, 5G, IoT and GaN markets. On a GAAP basis, revenue for Qorvo's fiscal 2019 first quarter was $692.7 million, gross margin was 34.2%, operating loss was $19.2 million, and loss per share was $0.24. On a non-GAAP basis, revenue for fiscal 2019 first quarter was $692.7 million, gross margin was 44.0%, operating income was $144.4 million and diluted earnings per share was $0.96.